Star Trac Instinct Shoulder Press. Instinct offers both single and dual function units with patented Lock N Load weight selection technology. Star Trac’s featured Instinct Circuit Program can be completed in 30 minutes and is perfect for users where available time is at a minimum. The Instinct line perfectly complements other specialized lines to enhance and complete the look of a fitness facility or health club. Removable wear sleeve for extended upholstery life. Adjustable seat and chest pad with “easy up” ratcheting adjustment. Featuring the patented Lock N Load weight selection system. 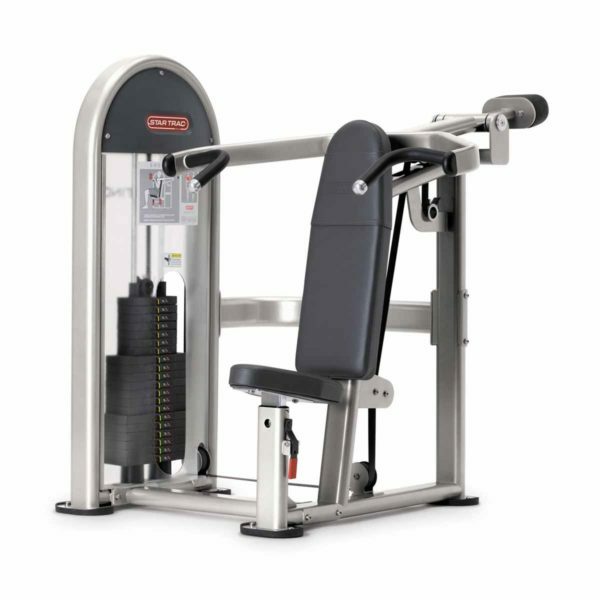 Buy Star Trac Instinct Shoulder Press online. If you are interested in the Star Trac Instinct Shoulder Press for sale, feel free to enquire above.